If you are thinking about installing new sash windows in your London home, it may or may not be a good idea. For example, when you already have sliding sash windows, you may want to keep them for several reasons. In fact, this window type has many benefits, and here is a closer look at them, what they are, and why you may wish to keep them. A sash window usually refers to a unit that opens by moving one of the sashes, usually in a vertical direction. However, some are designed to move horizontally. Many homes in the UK have this kind of window design. Some of the oldest examples of the sash window date back to the late Seventeenth Century in England, and it is believed that the style was invented by Robert Hooke. You’ll often see the sash or panel window design in Victorian style and Georgian style homes. Many of them contain a total of six sashes in three panels. All sash window designs will either be balanced by springs or counter weights to allow for smooth operation for opening and closing. A special chain or cord is usually connected to the sashes and runs over a pulley. However, in some cases, springs are used inside the window frame. 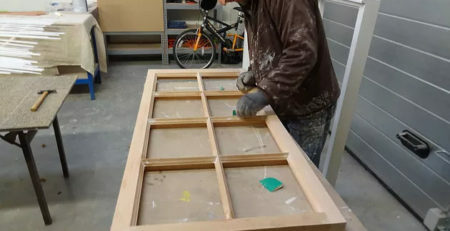 Most frames are made from wood and they contain panels with single panes of glass. not need to get up on a ladder just to clean the glass. This can save a lot of time, trouble, hard work, and possible injury from falls. Sliding sash windows makes cooling the house easier also. For example, if you open both the top and bottom section of the window part way, you can draw in cool air from the bottom and expel warm air through the top part. This provides efficient air circulation. The sash window also makes it easy to ventilate the home in rainy weather. For instance, you can open one window a small amount. This will let in fresh air while keeping out the rain. Also, these windows are designed to last for many years when properly maintained. Plus, many older homes have this window type and if you are interested in keeping your home in its original condition, it is best to keep the same window design. There is no need to replace all your wooden windows if you are restoring an older house. In fact, you should consider restoring and repairing the old units instead. When you contact a professional window company, they can handle all of the restoration and make each window look like new. Yet, they will still maintain their original look. Nothing is perfect and a sash window does have a few downsides to consider. For example, they do need occasional maintenance and upkeep. Also the wood is exposed to the weather frequently so rotting or swelling is possible if not cleaned and painted regularly. Plus, when they become worn they may begin to rattle or leak air. However, a good window renovation service can take care of problems like these. They can seal and repair your windows and this will give you a more comfortable home interior. Today, many homeowners are replacing there existing windows for modern double glazed wooden windows purely for the investment potential. For example, it may increase the home value and this could give you a higher selling price in the future. Also, there is the possibility of energy savings over a period of time. Yet, there is much to be said for restoration, and with the right sash window restoration service, your old timber windows can give you all of the benefits of new wood windows while keeping your house’s original look. The top window companies offer free consultations and inspections and they will visit your home and talk to you about all the possibilities available without trying to hard sell you replacement windows. You will receive a detailed estimate for the work and a guarantee on the workmanship. 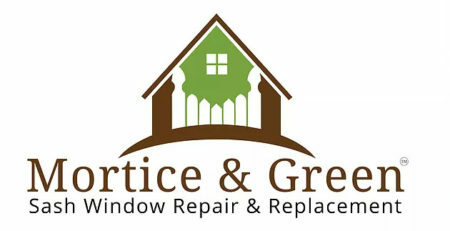 For all your sash window repair and renovation requirements in London why not give us a call today?Mortice & Green – We repair, we refurbish, we renovate and we replace sash windows throughout all London areas including Surrey, Middlesex, Twickenham and Richmond!